What’s your New Year’s resolution? If you’re like most of us, it probably involves losing weight or eating healthier food. When you think healthy food, Vegas probably isn’t the first place that comes to mind. If you’re thinking Vegas food, you’re probably thinking more like all-you-can-eat buffets and rich, indulgent meals at a gourmet restaurant. Sadly, neither one of those things are really conducive to losing weight, but don’t worry, we actually do have plenty of healthier options in Vegas too. 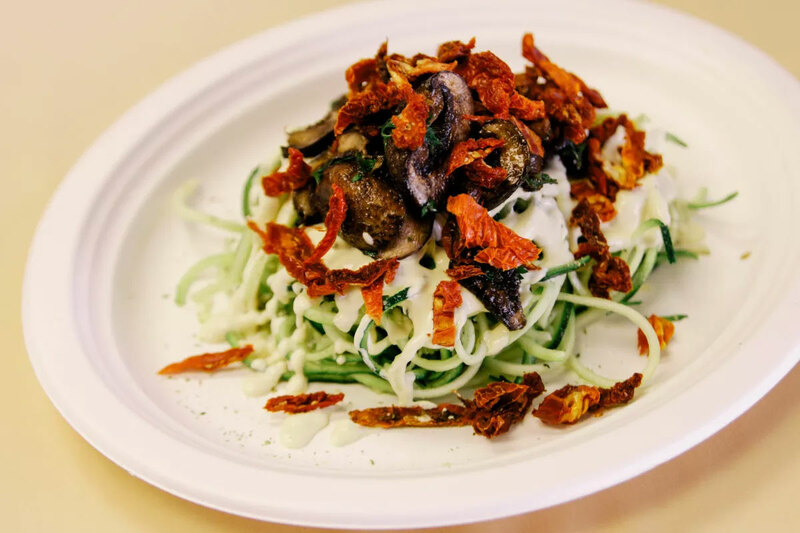 Zucchini pasta, photo courtesy of Simply Pure. It doesn’t get much healthier than raw food and you’ll find raw and vegan options at Simply Pure. Chef Stacey Dougan serves up food that will please even the meat-eaters. You’ll find things like vegan lasagna, green chili enchiladas, Asian inspired tacos, grilled cheese with tomato and pesto, nachos and zucchini pasta. There are also a variety of fresh-pressed juices to pair with your meal. 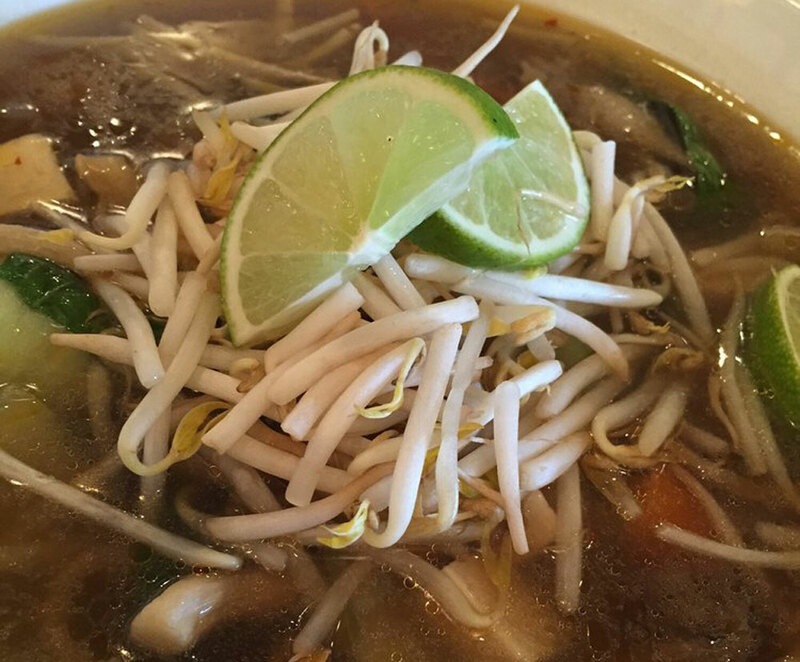 Vegenation’s pho, photo courtesy of Jeannie Garcia. Everyone tells you to eat your veggies, right? 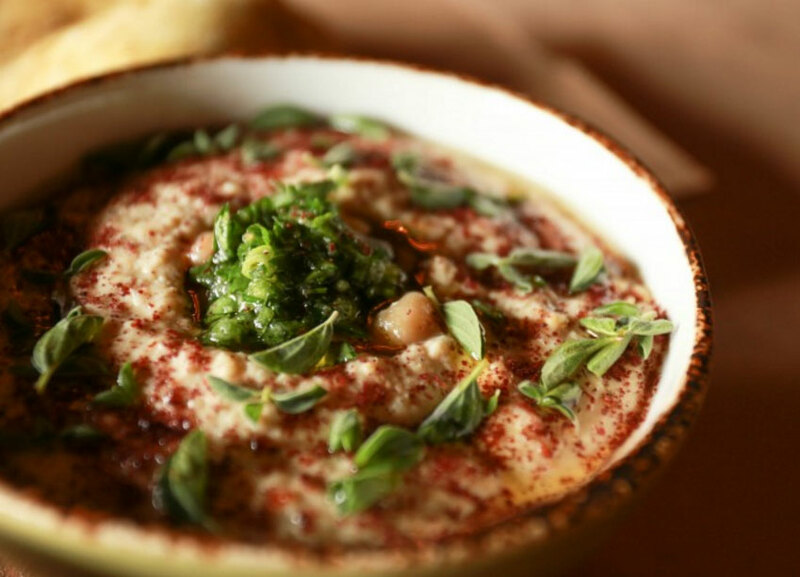 Everything on VegeNation’s menu is 100 percent plant-based so you know you’re eating healthy here. The restaurant serves fresh global street food and uses local vegetables and fruits whenever possible. They even grow their own herbs. If you’re one of those people who thinks veggies can’t taste good, think again. VegeNation serves things like hot tamales, Mexican hummus, margarita pizza, sweet potato pecan ravioli and quinoa spaghetti. Pressed Juicery, photo courtesy of Aria. Need to work on getting in your daily servings of fruit and vegetables? 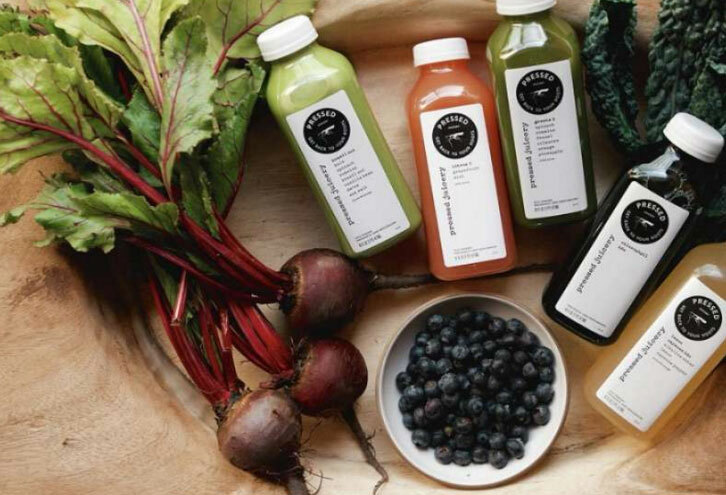 Head to Pressed Juicery and grab a bottle. Each one includes four pounds of fruits and veggies. The juices are cold pressed to extract the maximum amount of vitamins and minerals. Choose from green juices, root juices, citrus juices and fruit juices. There are also signature options like the vanilla almond, coconut cinnamon and Brazil nut. If you need a pick-me-up, try the cold-brewed coffees. We like the vanilla coffee with almond, dates, sea salt and vanilla beans. 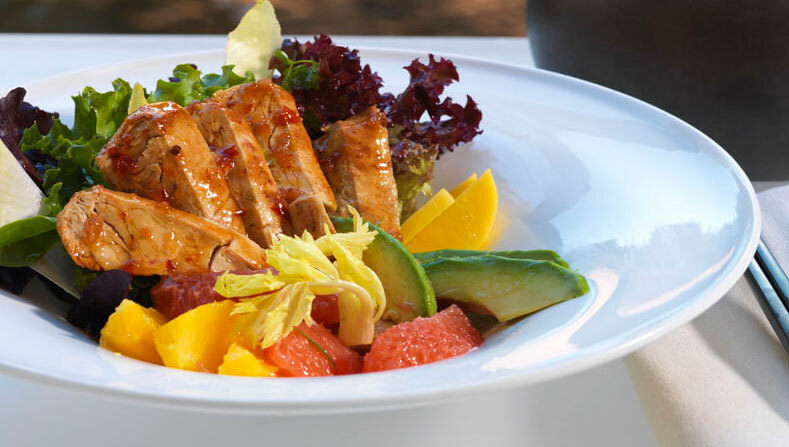 After you’re done feeding your mind with a yoga class at the Canyon Ranch Spa, feed your body at the Canyon Ranch Grill. The spa is all about healthy so the menu here also features good-for-you food. For breakfast, try whole wheat fresh berry pancakes or steel cut oatmeal. For lunch you’ll find things like warm roasted vegetable salad, a roasted curried cauliflower wrap or vegetable stir-fry. Cleo at SLS, photo courtesy of SBE. We’ve all read tons of stories about how the Mediterranean diet is pretty much the healthiest in the world. Luckily Mediterranean food is really good and Cleo serves some of the best in town. The menu includes a variety of salads and vegetables like Brussels sprouts, artichokes, cauliflower, eggplant, potato latkes and spinach and ricotta dumplings. You’ll also find a seasonal mushroom flatbread and a kale flatbread. Seafood lovers can enjoy fresh scallops, garlic shrimp and grilled branzino. Another great place to get healthy Mediterranean/Greek food is Estiatorio Milos. The restaurant serves seafood flown in straight from the Mediterranean Sea. Be sure to check out the impressive fish display. An open-air cooler is filled with crushed ice and topped with all sorts of delicacies from the sea. Watch your fingers — some are still moving. It’s that fresh. Other healthy options include steamed veggies, salads, fresh herb couscous and Greek yogurt for dessert. Vegetarian and vegan options are available at all Wynn and Encore restaurants, photo courtesy of Wynn Las Vegas. Maybe your goal this year is become vegetarian or vegan. Wynn and Encore hotels can help you out. Every restaurant in the resorts offers a vegan and vegetarian menu that’s just as tasty as the standard menu. As an example, the vegetarian menu at The Country Club serves things like watermelon gazpacho, grilled hearts of palm, faro and black bean quinoa risotto and a Gardein burger with cheese. You might not think there’s anything a vegetarian can have at SW Steakhouse, but they offer delicious dishes like roasted sweet corn soup, roasted quinoa cakes, black truffle and romanesco risotto and roasted organic Maitake mushrooms. If you have a sweet tooth, you can indulge and still stay at least kind of healthy. Red Velvet Café serves all kinds of goodies like cookies, cakes, cupcakes and brownies. Many of the options are vegan and some of the cupcakes are under 200 calories. There’s even a whole wheat cinnamon roll. That’s got to be healthy, right? The restaurant also serves lots of other low cal, gluten-free, vegan and vegetarian options. You’ll find wraps and paninis, vegan mac & cheese and fresh salads on the menu.